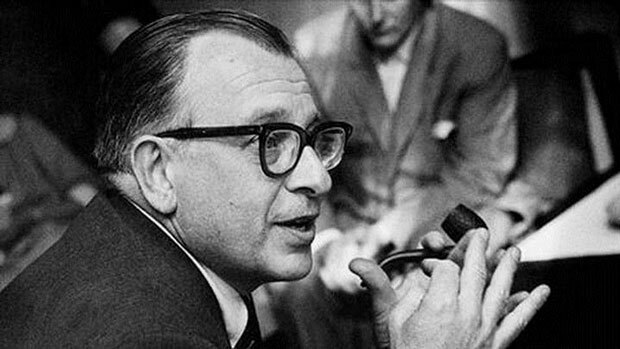 Eero Saarinen was a Finnish born-American architect born on August 20, 1910. Son of an architect and sculptor, Eero went to public schools in Michigan and in 1929 joined Académie de la Grande Chaumière in Paris to study studied sculpturing. Later he studied architecture at Yale University from 1931 to 1934 and won a chance to travel around Europe and North Africa from 1934 to 1935. Eero started off his professional life from the United States by doing research about housing and city planning with the Flint Institute of Research and Planning in Michigan, in 1936. After working here for two years he joined his father’s firm in 1938. The first international recognition for Eero came during his collaboration with his father. It started off with a chair design and later in time, this duo of father and son managed to win many other competitions for their innovative designs and projects. Furthermore, he went on with furniture design for quite a long period of time. After the death of his father in 1950, Saarinen founded his own firm ‘Eero Saarinen & Associates’ in Birmingham, worked there until the time of his death in 1961. During this time he dedicated a huge chunk of his time for furniture design and other home furnishing design ideas. the main terminal of Dulles International Airport near Washington, D.C. Throughout his career Saarinen worked with fondness towards his field. He always seemed to be competing with his own designs, every time he set out to make something new. He would study all the stages of construction with great care and pay attention to all the details starting from client’s concerns and demands to final execution of ideas. He is held responsible for introducing the trend of experimentation and exploration of design in the field of architecture. He was one of those architects who didn’t have any other interests in life except for architecture and he didn’t even bother to pen down his ideas in the form of book or any other such script. Eero Saarinen died on September 1, 1961, in Ann Arbor, Michigan, due to a brain tumor at the age of 51.